Welcome on the trophy guide for Where the Bees Make Honey. The game can be completed in 40 minutes if you will use the safe trick. At the very end you will be given the choice to pick up the phone, or to deny the call. Both options are tied to a trophy. Saving to a USB-stick or the PS-Plus cloud will save you the trouble of completing the game twice. The game consists of short puzzles/stories that need to be completed. They aren’t all too difficult, and you should be able to progress through them rather easily. We have set up a video walkthrough for you in case you have trouble progressing. If you use the save file trick, you will only need to watch the first 40 minutes of the video walkthrough. There’s Also A World Inside of Me. 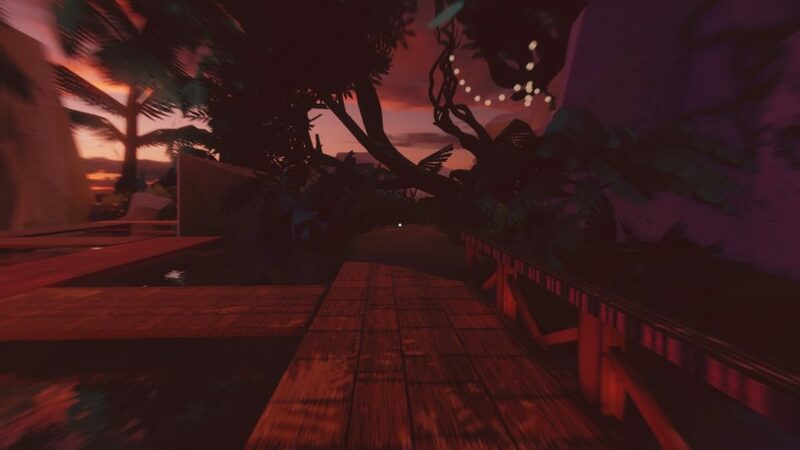 Early on in the game you will encounter an area with floating wooden platforms on water. You will need to walk straight ahead into the area with the tree. 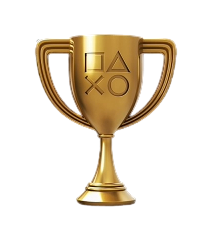 The tree will fall down, earning you this trophy. This one is missable, so make sure you get it. You will find yourself in a forest with snow, there are three side roads you can enter. Enter all three and circle around the items in the side-roads. The third one contains a lantern, circle around this one too, making it explode and lightning on the forest. This will earn you the trophy. This one is a bit tricky. The controls are clunky, so you will be having a hard time controlling the rabbit. Make your way to the rocks and keep jumping upwards. Walk towards the sea and jump in, swim a bit upwards and make your way towards the land. Walk up the cliff and jump down on the platform. Once on the other side, you will find the baby rabbit. Follow the road, and keep heading right a bit. Eventually you will find a giant hole, jump into it to complete the level. A little puzzle where you will have to collect 3 honey. You can swap things by pressing L1 which you will be needing to complete the puzzle. Learn that not all people will accept what they can’t see. You will spawn as a monster truck. Keep following the main road until you reach an open area with 3 honey in there. You will need to collect all 3 the honeys before you can progress. Try to get some speed before trying to reach them, as you will fail otherwise. After you collected them all three, head towards the long slope in the distance and keep on driving until you reach the end. You will spawn outside on a road, collect all the honey and walk underneath the ladder. Now keep heading right and get past the maze with the zombies. After a while a giant pumpkin will spawn and will roll towards you. Head back left until you reach the maze again, the pumpkin will shrink and you will be able to walk past it towards the right. “How May I Help You?” trophy. Save to a USB/Cloud before picking either option, allowing you to reload the save file afterwards. This will save you 40 minutes of gameplay. Pick up the phone during the very last section of the game. 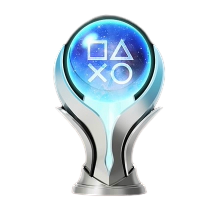 Please note that this trophy is disjoint to the “There’s The Whole World Out There” trophy. 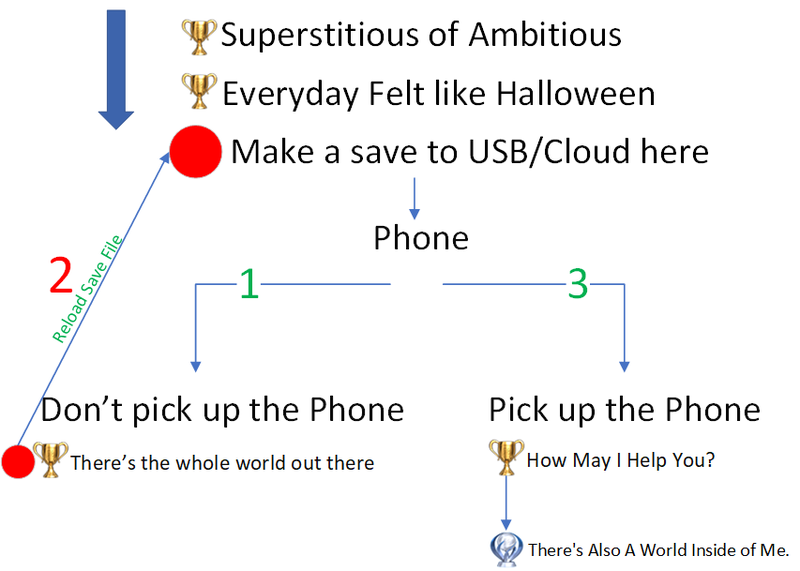 Save to a USB/Cloud before picking either option, allowing you to reload the save file afterwards. This will save you 40 minutes of gameplay. This is the first trophy you will earn, walk towards the basement and turn on the generator. Now walk all the way up to the 4th floor to start the second level. Just keep walking towards the left, you will need to sometimes rotate in order to progress. Nothing hard about this section, so you should earn this one fairly easily.